The Veterans Health Administration (VHA), located within the Department of Veterans' Affairs (VA), is responsible for providing a wide range of medical services to 5.5 million veterans across the US. Operating one of the largest networks of health care facilities in the nation, VHA has undergone considerable restructuring of its medical delivery system after years of complaints of inadequately treating veterans’ health care concerns. Although the VHA has been credited with significant improvements in helping veterans receive quality care, controversies have continued to occur, including poor treatment leading to deaths. The first effort by the federal government to provide medical care to disabled veterans was the Naval Home, established in Philadelphia in 1812. This was followed by two more facilities in Washington, D.C. -- the Soldiers’ Home in 1853 and St. Elizabeth’s Hospital in 1855. In his second inaugural address in 1865, President Lincoln called upon Congress “to care for him who shall have borne the battle and for his widow, and his orphan.” This was later adopted as the VA’s motto. Following the end of the Civil War, the number of disabled veterans was so great that Congress created the National Home for Disabled Volunteer Soldiers in 1873. This government organization established individual residences, called branches, that provided mostly room and board to former soldiers. These homes also gave incidental medical care to disabled and indigent veterans, regardless of whether their disabilities were service related. In the years that followed, national homes cared for veterans of the Mexican, Civil, Indian and Spanish-American wars, and for noncombat veterans as well. By the late 1920s, the homes provided hospital-level medical care. World War I brought about the next great expansion of the medical care system for veterans. Almost five million Americans fought in the war, resulting in 116,000 deaths and 204,000 wounded. Most medical care was provided by military hospitals, though the sheer number of veterans in need of care made this task difficult. Congress helped by adopting several pieces of legislation, the first coming in 1917 that established funding and programs for rehabilitation and vocational training for veterans with dismemberment, sight, hearing, and other permanent disabilities. The Vocational Rehabilitation Act of 1918 authorized the establishment of an independent agency, the Federal Board for Vocational Education. Under the new law, any honorably discharged disabled veteran of World War I was eligible for vocational rehabilitation training. A 1919 law authorized the building of new hospitals, though the additional facilities still weren’t enough to keep up with the growing demand of wounded veterans, resulting in the government contracting with private hospitals to help handle the overflow. In 1921 Congress created the Veterans’ Bureau in order to consolidate veterans programs managed by three agencies - the Bureau of War Risk Insurance, Public Health Service and the Federal Board of Vocational Education. The consolidation still left two other agencies administering veterans benefits - the Bureau of Pensions of the Interior Department and the National Homes for Disabled Volunteer Soldiers. The newly created Veterans’ Bureau was led by Col. Charles R. Forbes, a veteran of World War I. Forbes served for two years before being forced to resign because of charges (that eventually led to jail time) of conspiracy to defraud the government on hospital contracts. The Veterans Bureau didn’t last long. In 1929, President Herbert Hoover proposed consolidating the bureau along with the Bureau of Pensions and the National Homes for Disabled Volunteer Soldiers into one entity: the Veterans Administration (VA). The new agency was responsible for medical services for war veterans plus other benefits. From 1931 to 1941 the VA expanded the number of veterans’ hospitals from 64 to 91, which doubled the number of available hospital beds. It did so because demand for hospital care grew dramatically during the Depression, thanks in part to a rise in tuberculosis among veterans. Another contributing factor was an increase in neuro-psychiatric conditions among World War I veterans who complained of “shell shock,” the precursor to Post-Traumatic Stress Disorder of the Vietnam era and subsequent wars. After the end of World War II, the federal government implemented the GI Bill, a landmark piece of legislation that helped assist the return of millions of veterans back into society. For the VA’s medical care system, the end of the war brought a new leader to the agency: General Omar Bradley, a decorated commander in the European Theater. Bradley brought along Major General Paul Hawley, chief surgeon for the European Theater, to direct VA medicine. Hawley led the formation of a separate department of medicine, outpatient treatment for veterans with disabilities not related to military service and the creation of resident and teaching fellowships in VA hospitals. He also established a policy of affiliating new VA hospitals with medical schools. In 1946, Hines Hospital in Chicago was the first VA facility to affiliate with medical schools, signing up with Northwestern and the University of Illinois. The appointment of VA medical staffs was removed from civil service rules in an effort to attract higher caliber doctors and other professionals in larger numbers. Hawley also started the VA’s hospital-based research program. In 1946, the VA was operating 97 hospitals with a total bed capacity of 82,241 patients. Another 13,000 beds were planned through new hospital construction. But because of the demobilization of World War II servicemen, totaling more than 15 million, the existing VA hospitals were soon filled to capacity, and there were waiting lists at practically all hospitals. Until more VA hospitals were opened, the Navy and Army both made beds available. By the time Bradley left the VA in 1947, the agency had opened 29 new hospitals, along with establishing 13 branch offices, 14 regional offices and 721 contact offices to handle the increase in veterans’ claims. Then came the Korean War, creating new veterans on top of the millions who came home from World War II. The number of VA hospitals between 1942 and 1950 increased from 97 to 151. Two years later the total escalated to 541 hospitals. With the coming of the Vietnam War, the challenges confronting the VA had less to do with the usual increase in veteran totals and more with their medical conditions. Difficult-to-diagnose conditions stemming from exposure to chemicals used by US armed forces, such as Agent Orange, were questioned by the federal government, leaving veterans without treatment at first. Veterans complaining of psychological problems, later termed Post Traumatic Stress Disorder (PTSD), were initially ignored by VA officials. Not until the late 1970s and early 1980s did the VA begin to take steps to address Agent Orange-related illnesses. In 1981, the VA established a special eligibility program that provided free follow-on hospital care to Vietnam veterans with any health problems whose cause was unclear. At first, the only allowable claims related to Agent Orange were for chloracne, a form of skin rash. Then during the 1990s the VA gradually recognized claims involving soft-tissue sarcoma, non-Hodgkin’s lymphoma, Hodgkin’s disease, porphyria cutanea tarda (liver disease), respiratory cancers (lung, bronchus, larynx and trachea), multiple myeloma (a cancer involving bone marrow), acute and subacute peripheral neuropathy and prostate cancer. These decisions followed the release of a National Academy of Sciences study that concluded sufficient evidence existed establishing a connection between herbicide exposure and certain medical conditions. For veterans of the Gulf War and Iraq, a similar fight has been waged to convince VA officials that, like their Vietnam brethren, they are suffering from ailments with no readily identifiable cause. Gulf War Syndrome includes symptoms of fatigue, skin rash, headache, muscle and joint pain, memory loss and difficulty concentrating, shortness of breath, sleep problems, gastrointestinal problems and chest pain. Post-traumatic stress also continues to be a serious problem. From 1999 to 2007, the number of veterans receiving disability compensation for PTSD increased from 120,000 to more than 280,500. After a generation of complaints about medical care in the VA hospital system, Congress passed legislation during the Clinton years to improve the VA’s delivery of health care to veterans. In 1996, the Veterans Health Care Eligibility Reform Act reorganized the system using the HMO model, focusing it from a “hospital system to a health care system.” The bill also opened up VA health care to all veterans, not just those with service-related illnesses or injuries. Twenty-two Veterans Integrated Service Networks (VISNs) were established geographically around the country to meet all of the health care needs of veterans. While VA hospitals continued to serve an important role in the new system, community-based outpatient clinics grew considerably in size, from fewer than 200 in 1996 to 850 in 2004. Several studies produced this decade have lauded improvements in veteran’s health care. From the New England Journal of Medicine to the Annals of Internal Medicine, the VHA system was congratulated for improvements in several key areas of patient care. These successes were attributed not only to the 1996 congressional mandate, but also to Kenneth Kizer, who served as Under Secretary for Health at VHA during the 1990s and was responsible for spearheading changes in VA’s medical bureaucracy. In spite of these positive developments, VA’s hospitals and medical delivery system continue to receive serious complaints, including incidents of poor treatment that led to the death of veterans at a VA center in Illinois (see Controversies). The Veterans Health Administration, located within the Department of Veterans' Affairs, is responsible for providing a wide range of medical services to 5.5 million veterans across the US. The VHA operates one of the largest networks of health care facilities in the nation that includes 171 medical centers, 340 outpatient clinics, 127 nursing home care units and 196 Vietnam Veterans Outreach Centers. In addition, the VHA helps support veterans' health care in non-VA hospitals and is the country’s largest provider of graduate medical education. Medical and health programs run by the VHA include Agent Orange research, rehabilitation services for blind veterans, care for women veterans, assistance to homeless vets, care for veterans suffering from multiple traumas and research into war-related injuries. Visit Clinical Programs and Initiatives for a complete listing of all VHA programs. Approximately 20 million gallons of herbicides were used in Vietnam between 1962 and 1971 to defoliate the Vietnam countryside in order to locate enemy forces. Following their military service, some veterans reported a variety of health problems and concerns which were attributed to exposure to Agent Orange or other herbicides. This program is a comprehensive effort to address medical problems and concerns stemming from this chemical exposure. The principal elements of the program include health care services, disability compensation for veterans with service-related illnesses, scientific research, outreach and education. This program coordinates a healthcare service delivery system that provides care for blinded veterans which extends from their home environment to the local VA facility and to rehabilitation centers. Services include adjustment to blindness counseling, patient and family education, benefits analysis, comprehensive residential inpatient training, outpatient rehabilitation services, the provision of assistive technology and research. In November 1994, legislation was passed into law creating the Center for Women Veterans within the Department of Veterans Affairs. The primary mission of the center is to review VA programs and services for women veterans, and assure that women veterans receive benefits and services on a par with male veterans and encounter no discrimination in the process. First authorized in 1987, programs designed to help homeless veterans have offered outreach to those living on streets and in shelters, clinical assessment and referral to needed medical treatment for physical and psychiatric disorders, including substance abuse. Other services offered include long-term sheltered transitional assistance, case management and rehabilitation plus employment assistance, income supports and help to acquire permanent housing. Polytrauma care is for veterans and returning service members with injuries to more than one physical region or organ system, one of which may be life threatening, and that results in physical, cognitive, psychological or psychosocial impairments and functional disability. Some examples of Polytrauma include traumatic brain injury, fractures, hearing loss, burns, amputations and visual impairment. In February 2009, the VA established a web site to help service members returning from Iraq and Afghanistan. The site explains benefit programs for veterans and their families and hosts social networks for veterans of both wars. These centers evolved from the Gulf War Referral Centers that were developed by the VA in the 1990s to address the health concerns, including difficult-to-diagnose problems, of Gulf War veterans. Following inquiries and recommendations from the Executive branch, Congress and other governmental and non-governmental agencies, legislation was enacted in 1998 that directed the VA to develop centers that specialized in all combat-related illnesses and injuries regardless of conflict. In 2001, the VA approved two centers whose sole mission was to specialize in the study and treatment of war-related illnesses and injuries among combat veterans. The Washington DC VA and the East Orange VA were selected as the two sites for these centers. They provide second opinions for veterans with difficult-to-diagnose war-related illnesses and injuries that remain unexplained after medical examinations by the local VA medical center. Combat veterans with medically unexplained illnesses may request a referral from their VA physician to these centers. The VHA’s most important stakeholders are military veterans, active-duty and reserve military personnel. Currently, almost 6 million veterans use the VHA system consisting for hundreds of VA-run hospitals, medical centers and outpatient clinics. A key non-veteran stakeholder is the Institute for Healthcare Improvement (IHI), a national health care consulting firm. Following the 1996 legislation ordering the VA to restructure its health care delivery system, VHA contracted with IHI to help revamp its operations and develop a new structure for getting veterans the care they need. There are other non-veteran entities under contract with VHA that provide services to support the VA health care deliver system. EDS, a leading information technology company founded by Texas entrepreneur and former president candidate Ross Perot, has signed several contracts with VHA to help run its computer systems. Another IT giant, Unisys Corp., has held VA contracts to improve patient management, billing and collections capabilities for the VHA. Unisys’s work, however, has been criticized by the VA’s Inspector General (see Controversies). VHA also contracts with architecture and engineering firms when it comes time to build new medical facilities. In September 2007, VHA announced that a three-party venture will design the replacement VA hospital for New Orleans. The three companies are NBBJ of Columbus, Ohio, Eskew+Dumez+Ripple of New Orleans and Rozas-Ward Architects, also of New Orleans. Numerous veterans advocacy organizations also pay close attention to the work of the VHA. Vietnam Veterans of America is the only national Vietnam veterans organization Congressionally chartered. VVA's goals are to promote and support issues important to Vietnam veterans, to create a new identity for this generation of veterans and to change public perception of Vietnam veterans. Veterans of Foreign Wars (VFW) is the country’s oldest nonprofit veterans service organization that has long served as a voice for veterans and a catalyst for change in improving veterans' benefits through community service programs and special projects. The National Coalition for Homeless Veterans is a group of community-based organizations seeking to eliminate homelessness among veterans. It serves as a liaison between branches of the federal government and local homeless veteran service providers. Disabled American Veterans has more than 1.2 million members and is committed to aiding veterans with disabilities. Through its National Service Program, DAV operates 88 offices plus a corps of 260 National Service Officers (NSOs) and 26 Transition Service Officers (TSOs) who directly represent veterans with claims for benefits from the Department of Veterans Affairs. The free service is available to all veterans. New Directions is a long-term drug and alcohol treatment program that provides food, shelter and rehabilitation to homeless veterans at four locations throughout Los Angeles. An estimated 27,000 homeless veterans live in Los Angeles, which is also home to the country’s largest VA hospital. Swords to Plowshares is a community-based veterans' self-help group that advocates for veterans' rights and provides services to veterans. Its goal is to help homeless and low-income veterans through direct services and advocacy of effective public policy. Their web site provides information about programs and services, such as a drop-in center and legal services. Although the VHA has made considerable progress since the mid-1990s in improving its delivery of health care services to veterans, problems continue to plague the department and its facilities. In January, the Chicago Tribune reported that poor medical care at the Marion VA Medical Center left nine patients dead and 34 others seriously injured during a two-year period, according to an investigation by the VA’s Inspector General. Ten of the 34 injured patients later died, but investigators were unable to link the deaths to the care provided at the medical facility. The report also detailed a long list of serious problems at the hospital, including a surgical program "in disarray" and "fragmented and inconsistent" administrative oversight. The failures at Marion prompted VHA to review not only the medical credentials of doctors at the Illinois facility but also those of 17,000 other health care providers across the country. In a report (PDF) released in September 2006, the Inspector General’s office also cited problems at numerous VA facilities, ranging from poor sanitation procedures to failures in maintaining pharmacy drug controls. Additional investigations by the IG have uncovered mistakes made with VHA’s effort to modernize its blood bank operations and its decision to contract with IT-giant Unisys for computer systems support, resulting in performance failures. An investigation by McClatchy Newspapers found shortcomings with VHA’s delivery of mental health services to veterans. Using VA reports, as well as information obtained through the Freedom of Information Act, McClatchy analyzed 200 million records, including every medical appointment in the system in 2005, and spoke with mental-health experts, veterans and their families. The investigation found that nearly 100 local VA clinics provided virtually no mental-health care in 2005 and inconsistent care among those facilities that did. In some places, veterans received individual psychotherapy sessions, while others met mostly for group therapy. Some veterans were cared for by psychiatrists while others saw only social workers. The same investigation also discovered that VHA was not providing enough resources to help veterans coping with Post-Traumatic Stress Disorder. Why do I have to be disabled vet to get care in philippines? I just received a letter from the Treasury Dept. informing me that they are taking out a debt I owe to my V.A. I called my V.A. to make sure it wasn't a scam, and they in fact told me I owed for 2 specialty clinic visits. (1) I wasn't informed these were at my cost) (2). I never received a SEPARATE bill telling me I owed for these visits. I get a monthly bill from the V.A. for meds, which I pay monthly. When I called the Amarillo V.A.' they told me that the billing WOULD NOT have shown up on my monthly billing. My problem is this: They should have informed me of the extra cost. Secondly, They should have SENT ME A BILL. So now, The Treasury Dept. will take it out of my RAILROAD RETIREMENT, PLUS 30% interest!! I am NOT a happy camper. I had praise for my Amarillo V.A.' but they dropped the ball on this one. Called my primary care doc explained I fell 25ft from tree and was 4 hour drive to John Cochran Hosp but was told they would not pay private ER visit. Arrived at JC sat for over 3.5 hrs in wheel chair from hell, no neck brace, NOTHING! Lucky for me VA er doc sent me to another hospital for trauma and spine care, have 3 fractures on pelvis,3 lower vertebrae fract. rib and shoulder injury. Made things worse was the horrible attitudes by staff. The way the government has handled the Water Contamination at Camp Lejeune S.C..Is a disgrace. I was there in 1982. My life has just been one big painful struggle after another. And now even with all of my conditions that have effected my quality of life that has even impacted my husband and children for years. There is no compassion just laws that cheat us out of getting what we deserve!! I was at Charleston VA hospital today March 19, 2015 and I saw 2 different doctors, after that I went to the emergency room for pain with a pain scale of well over 10. They took me back to a room and time went by and a nurse walks in with a pen and appeared to be a post it note pad asked me what I was taking for my pain and I said 1200 mgs of ibuprofen 3 to 4 times a day with no relief and she leaves. Then walks in a blonde (this should be a joke) and she tells me to take ibuprofen for the pain I explained to her the same thing I told the nurse. I was never examined, I was never even treated. When did the VA decide NOT to treat serviced connected injuries and refusing me treatment? VA is saying my Means test was not submitted on time. and now i am being charged for the hospital stay at a VA Hospital, I am Disabled and only receive $974 a month for myself and my wife and now they are taking $150 a month out of my Check Leaving me $824 a month i ask to have it removed because of being Indigent and was told no. Someone Please Help Me, I am at my Breaking Point Stress is to Much and I Just had my Second Stroke 2 weeks ago. David J. Shulkin was nominated by President Barack Obama on March 18, 2015, to lead the Veterans Health Administration. It would be the first government post for Shulkin, a physician and hospital executive. Shulkin was born June 22, 1959, and is from Bala Cynwyd, Pennsylvania, a suburb of Philadelphia, where his father Mark was a psychiatrist. David’s sister, Nedra, later became a psychologist. Shulkin attended Hampshire College, graduating in 1982 with a B.A. in science. He returned to Philadelphia to attend medical school at the Medical College of Pennsylvania, earning his M.D. in 1986. Shulkin did his internship at Yale, and then his residency in internal medicine at the University of Pittsburgh, where his father had also done his residency. While at Pitt, he met the woman who would become his wife, Merle Bari, who was doing her residency in dermatology at the time. When Shulkin finished his residency a year before Bari, he remained at Pitt and studied business administration, which turned out to be excellent training for his career. In 1990-1991 he also was a Robert Wood Johnson Foundation Clinical Scholar at the University of Pennsylvania, studying the increasing cost of health care. He researched why doctors made the decisions they did and tried to use that to improve efficiency and outcomes in large healthcare organizations. Shulkin remained in Philadelphia, becoming chief medical officer of the University of Pennsylvania Health System in 1990. In 1999, he started an online site, DoctorQuality.com, where patients could check their physicians’ backgrounds for quality and safety. Shulkin’s work has frequently involved looking at managed and accountable care, in which patients, especially the chronically ill, get the right care at the right time, while avoiding unnecessary duplication of services and preventing medical errors. In 2008, for example, he studied why patients who are admitted at night are more likely to die than patients admitted during the day. Also in 2008 he edited the book Questions Patients Need to Ask: Getting the Best Healthcare. Since July 2010, Shulkin has been president of the Morristown (N.J.) Medical Center, which is part of Atlantic Health System. One of his innovations there was to champion 24-hour visiting hours for its healing effect on patients. Shulkin is heavily involved with Atlantic Health System, as he is president not just of Morristown Medical Center, but of Goryeb Children’s Hospital and Atlantic Rehabilitation Institute, as well as Atlantic Health System Accountable Care Organization and Atlantic Health organization Primary Care Partners, and he is principal shareholder in Practice Associates. Shulkin and Bari have two children, Daniel and Jennifer. 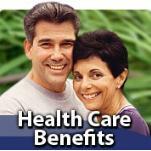 Daniel is also involved in health care administration. 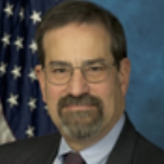 A career employee of the Department of Veterans Affairs (VA), Michael Walcoff has served as Acting Under Secretary for Benefits since January 4, 2010, and, according to some VA observers, could become the permanent head of the Veterans Benefits Administration (VBA), a position that has been vacant since February 2008, The last Under Secretary, George W. Bush appointee Daniel Cooper, infuriated many veterans when, at a time that the backlog of disability claims was mushrooming to 400,000, appeared in a religious fundraising video stating that Bible study was “more important than doing the job—the job's going to be there, whether I'm there or not." Walcoff attended college at American University in Washington, D.C., where he received his Bachelor of Arts in political science. He later went to law school at Temple University in Philadelphia, receiving a Juris Doctor degree, and eventually became a member of the Pennsylvania Bar. In 1974, he began his career as a VA claims examiner at the Philadelphia Regional Office and Insurance Center. He gradually moved up through the bureaucratic ranks, serving as director of the VBA regional offices in Seattle, Washington, and Huntington, West Virginia., as well as deputy area director of VBA’s Western Area. Walcoff was then promoted to Associate Deputy Under Secretary for Field Operations, putting him in charge of VBA’s 57 regional offices and more than 13,000 employees. In January 2008, he was appointed Deputy Under Secretary for Benefits, a post he held until becoming Acting Under Secretary for Benefits. In his current capacity, he directs the administration of VA’s disability compensation, pension, education, home loan guaranty, vocational rehabilitation and employment, and life insurance programs. VA Watchdog.org believes Walcoff’s elevation to Acting Under Secretary for Benefits is just a prelude to his becoming the permanent leader of the VBA at some point. He will be tasked with revamping a dysfunctional bureaucracy that has been routinely criticized for failing to assist veterans with their disability claims and other needs. At a congressional hearing in March 2009, held in the wake of revelations that VBA officials had hidden away tens of thousands of unopened claims letters, Walcoff admitted that veterans have lost trust in his department. “That loss of trust is understandable, and winning back that trust will not be easy,” he told lawmakers.